Friday 13th I joined an international group of 13 hikers to explore the Wadi Karak. The Wadi is located about 1.5-hour drive with a bus from Amman, pretty much at the Southern end of the Dead Sea. We left at 7 am from Cozmo and started our hike after a short coffee break on the way. We had a short delay because of the Dead Sea Marathon. The entry point to the Wadi was near to some observation station, I assume. Pretty quickly we got our feet wet, as we walked through the valley surrounded by constant water flow from a small creek. The pink flowers shall be next to us throughout the walk. As we walked deeper into the Wadi, the walls change in color and get higher around us. We hear water splashing as we are wandering through ankle high water. The trail itself was about 7 km up to this point. There is not much elevation and you do not need serious climbing skills although here and there you need to climb up or down some rocks. However, you have to accept that your feet get wet. It is also possible to get into the wadi from the other side and have an abseiling experience to get down. Our group, however, returned the same way as we got in and walked back to our starting point where our bus waited. We changed back to dry shoes in order to get ready for the sunset at the Dead Sea. If you look carefully you also might see some frogs, crabs, fish or grasshoppers as we did. There is also a small variety of plants. 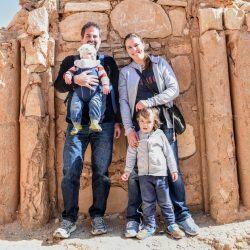 I do have to admit, I mentioned before in my blog that I think the Dead Sea is a bit overrated and I do not like the fact that you usually can only access through the hotels. However, this time we accessed the sea pretty much at the most Southern point and we walked from the street towards the water over an everchanging landscape that truly has a unique character. It sometimes sounds like walking over ice or snow. It looks fragile and rough at the same time. You see spikes, cracks, plates of salt, balls of salt and all kind of interesting structures, patterns until you reach a pretty much white, salty ground with clear white, blue water. We took some great sunset pictures before we finally started our return to Amman. It was a long day but included two nice diverse but equally interesting areas in Jordan. I would like to express my thanks to Yousef from #Haveahike, who did an excellent job on this trip, for inviting me for this adventure. You can truly see his passion not only for the outdoor adventures but also for his excellent customer service. He is a young entrepreneur who takes the security and well-being of his guests serious and provided a more than fair value-for-money. I wish him all the best for the future success of his business. 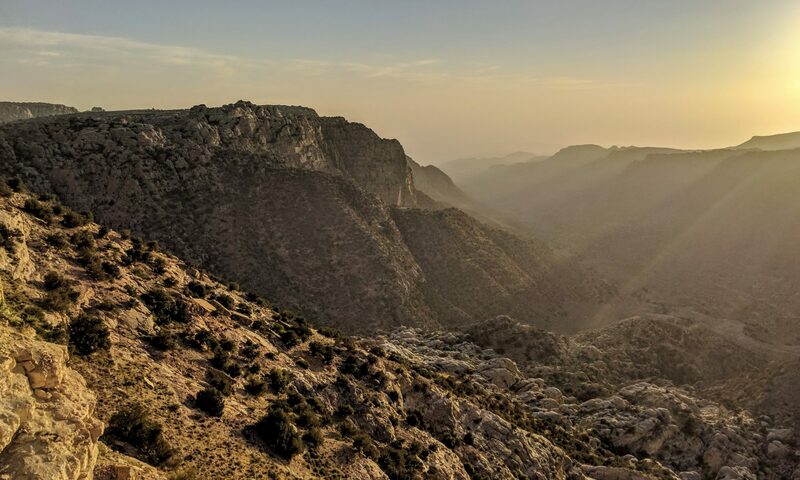 Other than hiking Yousef also focuses on the traditional sites of Jordan and also some first-hand experiences with locals, such as Bee-Keeping, Farming, Zataar making etc. Check out his next event on Facebook. Look like Yousetour is no longer in business. Love to do the hike when I’m in Amman in March/April.